1. Readability - NASB The New American Standard Bible uses contemporary language and punctuation, the King James version does not, being written almost 400 years ago, and virtually unchanged for about 120 years. The crux of the matter of readability is the difficulty of the Elizabethan English of the KJV, which is laborious to read even for those who are well educated and familiar with the texts, when compared to reading the same texts in the clearly written NASB in it's [sic] familiar modern format and natural vocabulary. Other readability issues include the use of quotations and poetic stanzas, small caps for Old Testament quotes in the New Testament, and capitalization of pronouns referring to deity. The NASB also recognizes Greek translations of Hebrew names and translates the names consistently, as opposed to the KJV which gives us multiple names for the same person; for example, the KJV calls Judah, the son of Israel, "Judas" in Matthew 1:2, because that's how it is in Greek. The NASB simply calls him Judah in both the Old and New Testaments; this is simpler to understand and just as accurate. JTR Response: In the preface Stanfield states that his four paragraphs will be “in order of significance.” We might begin the review by challenging whether or not the issue of “readability” should occupy first place in evaluating a translation. Certainly, if one translation were completely indecipherable and another amazingly lucid, readability would be a first place consideration. I do not think this is the case, however, in comparing the NASB and the KJV. In my view the most important issue and the starting point for evaluating a translation should be the text which underlies the translation (which Stanfield addresses in paragraph 3). We must begin with which underlying original language text is to be accepted as authoritative: the traditional text or the modern critical text. Does Mark end at 16:8 or 16:20? Is John 7:53—8:11 part of the text or not? This is particularly true if we hold to the doctrine of plenary verbal inspiration. We first have to know which words to translate before we can determine how to translate them or how to make them readable. 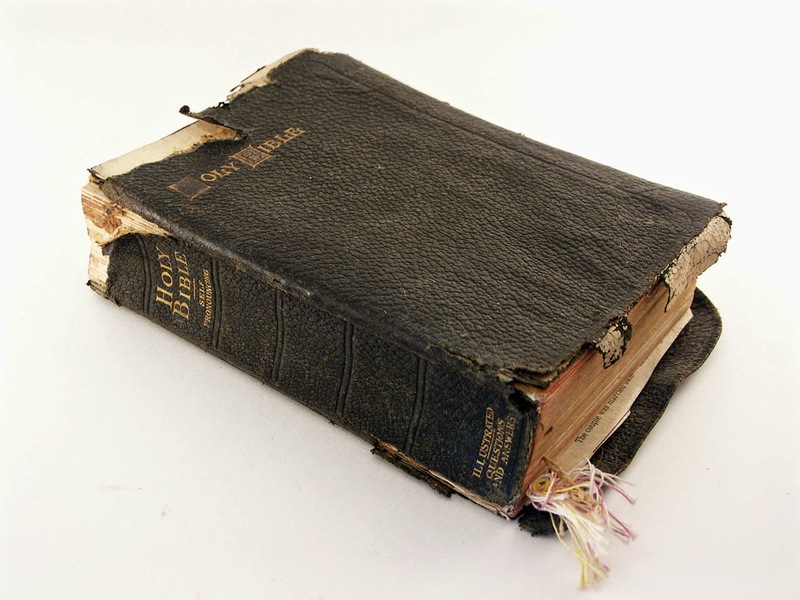 First, the difficulty of reading the KJV is overstated. It simply is not that difficult to understand. As a personal anecdote, my family reads from the KJV in our family devotions and my children (the youngest is now eight) generally do not have problems comprehending the meaning. Granted, it does push your vocabulary. Having a good Study Bible to consult or a word list like that published by the Trinitarian Bible Society will prove helpful, as will aids in reading from any translation (e.g., having a good dictionary to look up the meaning of “peck-measure”). Second, the main problem with comprehension might not have so much to do so much with “readability” as it does with illumination. This is a serious flaw in the modern approach which often assumes that the reason unbelievers and immature believers do not read and understand the Bible is because the vocabulary and grammar are too hard to understand. Paul had a different explanation (1 Corinthians 2:14). Being a good Bible reader requires illumination and discipline. Third, sidelining the KJV in favor of the NASB or any other modern translation also neglects the intellectual, literary, and pedagogical benefits that accrue from exposure to the beauty and grandeur of the KJV as a Western cultural achievement. The “readability” of the KJV helps make one a more literate person in general. This makes one a better reader of the Bible but also of other literature in general, both theological and secular. Why is the KJV praised in the English department but bad-mouthed in the religion department? The article next mentions several other issues which it claims aid in comprehension of the text’s meaning, including use of quotation marks, poetic stanza formatting, setting OT quotes in small caps, and capitalization of pronouns referring to the deity (which even the NASB does not do to the degree that the NKJV does). Such devises are used in the NASB but not the KJV. What is not recognized here is that each of these “improvements” requires an interpretation by the translator. When the translator chooses one option he often shuts the reader off from the entertainment of alternative possibilities. It is not always clear, for example, when a quotation is being made or who is making it (e.g., Is Paul making the statement in 1 Corinthians 14:34-35 or is he quoting an opponent?). Nor is it always clear if the text is to be taken as poetry or prose (e.g., Is Philippians 2:5-11 a hymn fragment or Paul’s original prose composition?). Likewise, it is not always clear whether a speaker is quoting directly from the OT, paraphrasing a passage from memory, or merely making an allusion (cf. Hebrews 10:5). Finally, assigning pronoun references to God can also be confusing (cf. 2 Thessalonians 2:7 where the NKJV uses “He” and the NASB and KJV use “he”). Again, such modern changes in translation often represent interpretations that might not necessarily improve the reader’s comprehension of the original. First, the NASB does not, in fact, follow a rigid or “consistent” practice in translating names. For example, though it does translate the Greek name Ioudas as “Judah” in Matthew 1:2, making it conform to its English translation of the Hebrew OT, it renders the exact same Greek name as “Judas” in reference to “Judas Iscariot” (Matthew 10:4); “Judas” Jesus’ half-brother (Matthew 13:55); and “Judas the son of James” (Acts 1:13) and not as “Judah.” Furthermore, it translates this same Greek name as “Jude” in the book of Jude (see 1:1). Sometimes, in fact, it is the KJV that makes an internally “consistent” translation where the NASB demurs. Example: In Acts 7:45 the KJV translates the Greek name Iesous as “Jesus” while the NASB renders it as “Joshua” (though it obviously renders the same Greek name as “Jesus” elsewhere in the NT). Second, I do not think that a rigid one-to-one correspondence translation method for names is particularly helpful in a translation. It is good that we have various English names, for example, to distinguish “Judas Iscariot” from “Jude” the NT author and that Jesus is called "Jesus" in the NT and not "Joshua." This is a fact that both the NASB and the KJV recognize, and it does not make one superior to another on this score. Ironic that the KJV is written in Jacobean English, but the NT still contains the book of *James*! Thanks Patrick! Yes, interesting indeed. I suppose if we went by the standards put forward in the article, we should translate Iakobos as "Jacob" rather than "James" in order to be consistent with the NT usage consistent with the OT. Regarding names, Richard Bauckham has an interesting discussion of names in the NT in "Jesus and the Eyewitnesses" wherein he makes the point that many of the popular Jewish male names from the first century (like Judas/Judah, Simon, Jacob/James, John, etc.) came more from the influence of the Maccabees than from the OT.